Many factors can influence how much it costs to get your nose pierced. The following information may help you understand why the price of a nose piercing can fluctuate so much depending upon where you go to have it done. Some people are better at their jobs than other people are. Think back to when you were in school. Did you have a favorite teacher who inspired you and you learned from? Did you have a teacher you hated and learned very little from? The same is true of piercers. Their skill level can vary greatly. People are going to pay more for a piercer who has experience than someone who has just set up shop. The experienced piercer will have clients who are happy to tell their friends about the great experience they’ve had with him. That means he’ll be more in demand than a newbie, so he’ll be able to charge higher rates. You want to find a piercer who understands that the best way to pierce a nose is with a needle, not a piercing gun. That may not seem like a huge difference, but to anyone who knows about piercings, it’s a big deal. When you’re getting your nose pierced, a piercing gun is too bulky to use in such a small place. Plus, piercing guns aren’t known for being easy to sterilize and they cause more damage to the tissue than a needle does. With this in mind and to avoid extra n﻿﻿ose pier﻿﻿cing pain, tissue damage, and the possibility of infection or nose p﻿iercing bumps, stay away from a piercing gun. Hollow needles, on the other hand, are gentler on surrounding tissue. They don’t cause any more damage to the skin than what has to be done to make the hole and get the jewelry in. That’s why they are the tool of choice to any piercer who cares about what is best for his client. Before you agree to have your piercing done at any particular studio, ask your piercer about which kind of method he uses and why. That will give you a better idea as to how sanitary the procedure will be. If you don’t like the answer, just walk out the door and find a better piercer. All it takes is word of mouth from one high-profile client and a studio’s popularity can soar almost overnight. Studios that are more popular – whether from word of mouth or from smart advertising – can afford to charge more. If people are clamoring to get appointments there, it makes good business sense to push up the prices and profit off your success. Location can make or break a studio’s prices. If a piercer sets up shop in a trendy part of town, they’ll be able to charge more for a piercing than another studio that’s located in a run-down part of town. Studios in big cities can also charge higher fees for piercings than shops in small towns can. People in a small town, where everything is generally cheaper, would never pay the piercing fees some people do in big cities. If you have Beyonce taste when it comes to jewelry, don’t expect rock-bottom prices. The kind of jewelry you select for your nose piercing plays a big role in your final piercing price. If you want diamond studs and precious metals for your nose jewelry, be prepared to make a bigger payment. Gold jewelry costs much more than stainless steel or titanium does. Therefore, if you have gold fever, you’re going to have to be prepared to give up some extra cash. If you tend to have issues with allergic reactions when it comes to your piercings, titanium is a good alternative to stainless steel. Cheaper stainless steel jewelry tends to have a lot of nickel in it and nickel is a common irritant for many people. Luckily, titanium jewelry costs about the same as stainless steel so you can make that swap without losing a lot of money. Sterling silver can also contain a lot of nickel, so you might to avoid that as well if you’re worried about allergic reactions. If you love sterling silver though, and want to use it for your nose jewelry, it typically costs more than stainless steel or titanium, but less than gold. If you walk out of the studio with one piece of jewelry for your nose, you’ll obviously pay less than you will, if you buy enough jewelry so you can change it every day of the week. You may want to hold off on extra jewelry purchases if you’re worrying about the accumulated cost of the initial bill. Those aftercare products the studio sells you, can also greatly influence how much you’ll pay for your piercing. If you’re trying to cut corners, you might save some dollars buying your aftercare supplies online or at another store rather than your piercer’s shop. Just remember that cleaning the area properly is a vital part of the nose ﻿piercing﻿ healing process, so ensure you do it properly with suitable items/products. When you’re on a strict budget, every buck can count and you look for ways to trim the fat wherever you can. However, when it comes to getting your nose pierced, saving a few dollars has its consequences. Paying a little more for your nose piercing can mean you’re paying for quality, and you definitely want someone who knows what they’re doing. They’ll have a better eye for piercing placement. Even moving your piercing just a few millimeters in any direction can change its look and the overall outcome. If you’re not happy with the placement of your piercing, you may have to have it redone and that will cost you more than paying for quality work right from the start. 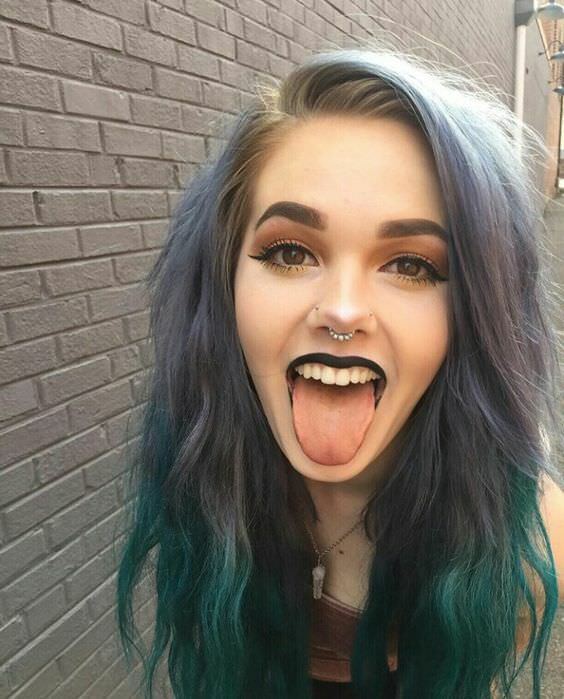 Most people intend for a new piercing to be a permanent addition to their bodies, hence the reason behind why people pay for experienced piercers in the first place. . This isn’t like a henna tattoo that will gradually fade – it’s a bigger deal than that. Another compelling reason to spend a little more money is to make sure you’re getting top-of-the-line hygiene from your piercer. A less experienced individual might not understand how to properly sanitize their equipment. A piercer who charges a fraction of what another piercer does may not be paying for single-use equipment. For all you know, he could be using the same needle he did for his last client. That could lead to potentially dangerous nose piercing infections at the very least, it’s gross! 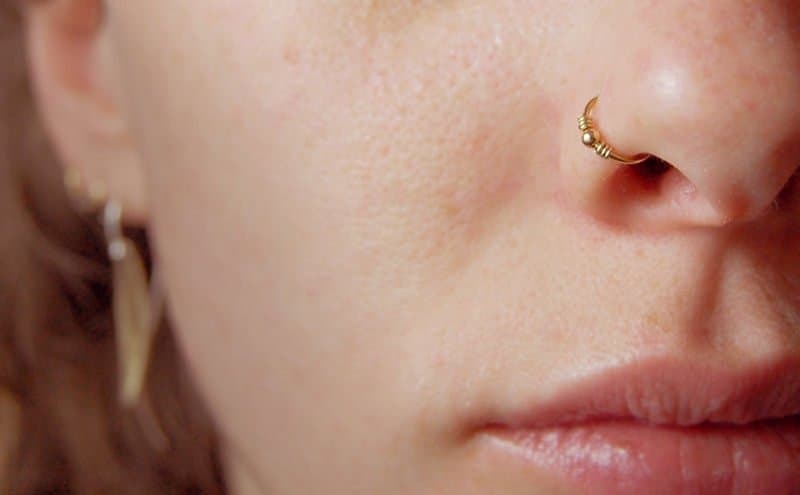 Infected nose piercings can not only increase the usual healing times, but can permanently damage the area if you're not quick at treating them. Nose piercing scars as a result of infection, are not uncommon. Another reason to skip cheap piercers is because their rock-bottom prices may be because they offer low-quality jewelry. If you get low-quality jewelry, it will likely bend or break sooner and you’ll just have to replace it anyway. Plus, you might trigger an allergic reaction to the materials used for the cheaper jewelry. Higher quality metals like titanium and gold cost more upfront, but they’ll last a long time. As an added benefit, they’ll be less likely to trigger rejections and allergic reactions. That’s worth paying a little extra for! While you may never know what the studio you’ve been interested in, charges for a nose piercing, until you ask of course, many places will fall within a range of $25 to $100. While that may be a pretty big range, there’s a reason for that. Not all nose piercings are the same. They are many locations a nose can be pierced and some of them are more expensive than other sites on the nose. The typical nose piercing most people think of – the nostril piercing – is cheaper than many other nose piercings. You can expect a price tag of $25 to $70 for that service. Other types of nose piercings run higher in price, like bridge piercing, where you can expect to pay about $40 to $95. 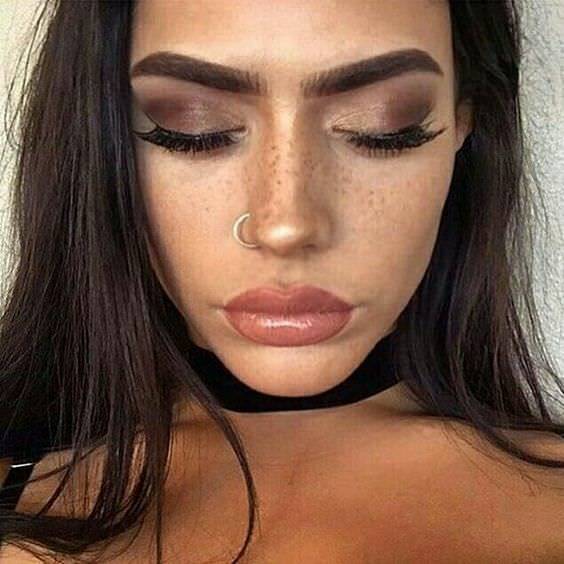 Another type of nose piercing, a septum piercing, also costs more than a nostril piercing, varying from $45 to $90. With this in mind, when you call or stop by a piercer’s shop, you’ll need to be very specific about which type of nose piercing you want done. That will allow the piercer to give you the correct pricing for your procedure. Piercing shops routinely offer discounts or deals that can save you money. If you don’t see any deals advertised, don’t be shy – ask! That one simple question may end up saving you some money. If they aren’t offering any discounts, at least you tried. Here are some of the common discounts piercers often have that could end up saving you money. Some piercers offer you a two-for-one deal. If you have a friend who wants a nose piercing too, you might be able to secure a buy one, get one free deal. That can save you a lot of money and you’ll make lifelong memories. You can make it a contest to see who is braver. If you are the more squeamish out of the two of you, you should go first though. You don’t want to chicken out and leave your friend hanging and having to foot the whole bill! Many piercers aren’t doing their jobs solely for the money. They consider themselves true artists. As artists, it can pain them to see a botched piercing job or an unsuccessful piercing that has since closed up. They’ll often offer discounts so they can work their magic. That discount can help people who really want a nose piercing, but haven’t had good luck with theirs in the past. It’s also in a piercer’s best interest to offer this kind of discount too because they’ll still make money off the jewelry sale. If you have more than one piercing you want done, ask your piercer about any multiple piercing discounts they offer. You might stumble upon some deep discounts by asking about this. If you want another piercing in the not too distant future, but you haven’t saved enough money for it yet, this could offer enough of a discount that you’ll be able to do both. 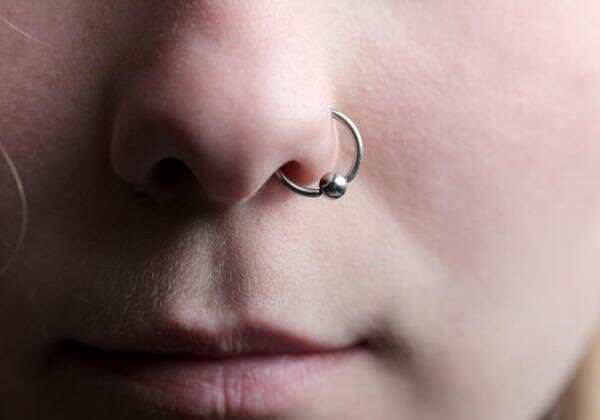 Nose piercings are really popular with college students, but it can be hard for them to pay full price. Education isn’t cheap, after all. Some college kids have trouble finding money for food, let alone nose piercings. To get those college kids in their shops, many piercers give a student discount. That’s a smart business move because they can then sell them jewelry and aftercare products. If you’re trying to save up for a nose piercing and want to make sure you have enough money to cover it, you can plan to spend $100. That should be on the high side at most places, but it’s always better to overbudget than underbudget the cost of something. When looking for a studio to do your nose piercing, remember to keep in mind that you want quality more than low prices. Getting too thrifty now may leave you with a serious case of buyer’s regret later. Start looking for a great piercer, ask questions about any discounts and get your dream piercing done!